Green peach aphid may be found along the midrib on the underside of leaves of a host plant. 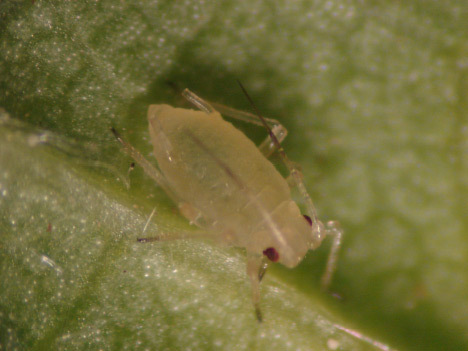 Mature aphids are about 2 mm long (ca. 1/16 inch), egg-shaped, and the color of the wingless nymphs and adults ranges from pinkish yellow to yellowish green. There are usually multiple individuals in a single colony.